There are a large number of annual flowers that can be grown in order to beautify your garden beds. The best part about planting annuals is that all of these love the bright rays of the sun and thrive well when shown good amount of it along with daily care and maintenance. You can try planting a mix of annual flowers or just one flower variety at a time depending on your climate and region. Today, we have brought forth a beautiful collection of 25 stunning flowers that survive in heat and are perfect for gardens and pots. Do take a look and choose your favorite! 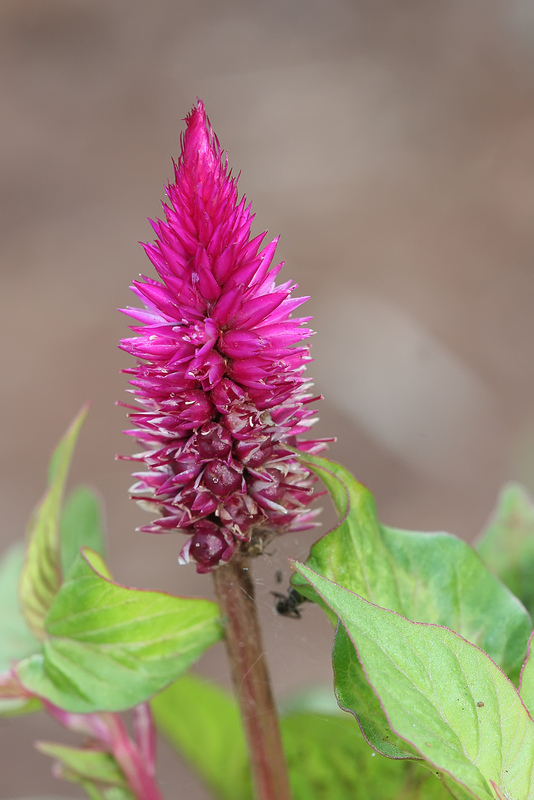 In the list of best heat tolerant flowers, we do have to mention about Celosia Spicata, an annual flower that can be grown in either purple, pink or red. The plant can grow up-to 4 feet in height and loves the sun. It simply cannot withstand excessive watering. 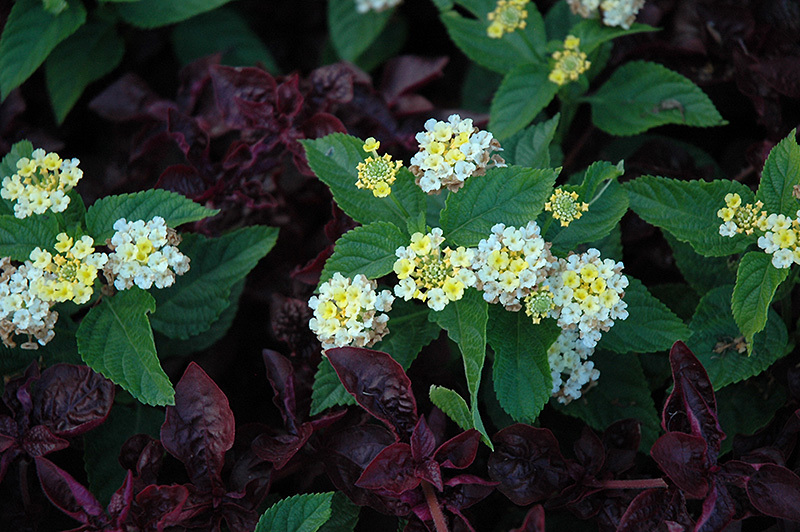 The Lantana is a stunning looking flower that bears blooms in many colors like cream, red, purple, white, pink and lilac. It also bears toxic berries and hence, one must be careful to plant it in gardens. The plant can grow up-to 6 feet in height and needs bright sunlight to grow well. This annual flower sports flower heads that resemble flames, and therefore adds a dramatic touch to your garden. It looks quite similar to Amaranth and is also called Silver Cockscomb. It is native of tropical regions like India and China. The plant produces blooms in the middle of spring and summer. If you are looking for planting gorgeous annual flowers this time, try from our list of best flowers for full sun that has showcased many varieties to blow your minds. One such variety is the beautiful Amaranth, an annual flower that comes in orange, gold, red, purple and green shades and adds a twist to any garden. The plant cannot withstand moist and watery soil and shade. 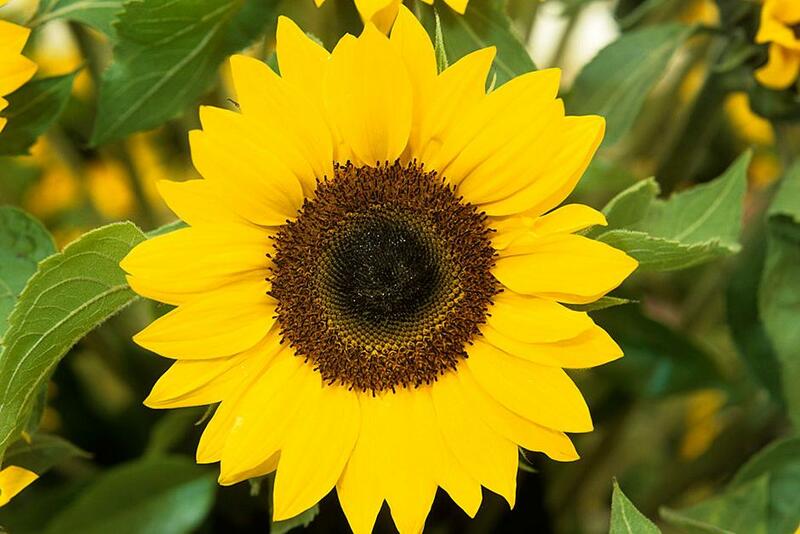 Sunflowers are lovers of the bright sun and can easily be maintained. These are one of the most commonly grown flowers in gardens and look stunning always. However, these flowers do need to be cared for and require maintenance, just like any other flower. Marigold is one flower that loves the sun to the hilt! It can grow easily in garden bed or pots provided you expose it to direct sun daily. Once marigolds get their dose of sunlight, these can produce healthy blooms. The flower can be grown either as a perennial or as an annual. 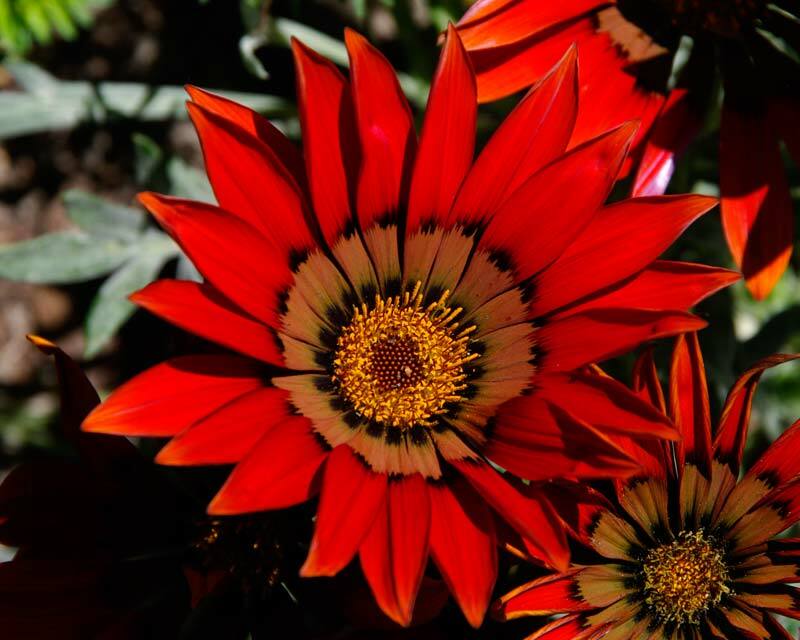 Gazania Hybrids are one of the best varieties of flowers that survive in heat beautifully. The plant grows anywhere from 6 inches and can even reach 15 inches in height. It produces blooms in pink, red, yellow and orange. However, it cannot withstand wet soil and excessive humidity. Among those flowers that do well in sun is the beautiful Cosmos Bipinnatus, an annual that grows easily in many gardens. It comes in varieties of pink, orange, purple and white. Sometimes, you can also find these flowers in pastels. These direct-sow flowers bloom easily and are self seeders. It is popularly known as Cupflower and is mostly grown in pots and containers. It looks charming with star shaped flowers and nice looking foliage. You can plant this on your garden border or on edges as its easy to grow and propagate. Ipomoea Quamoclit is counted as one of the best full sun flowers as it can tolerate heat and loves being in the sun. It can grow up-to 25 feet and produces blooms that are scarlet in shade. 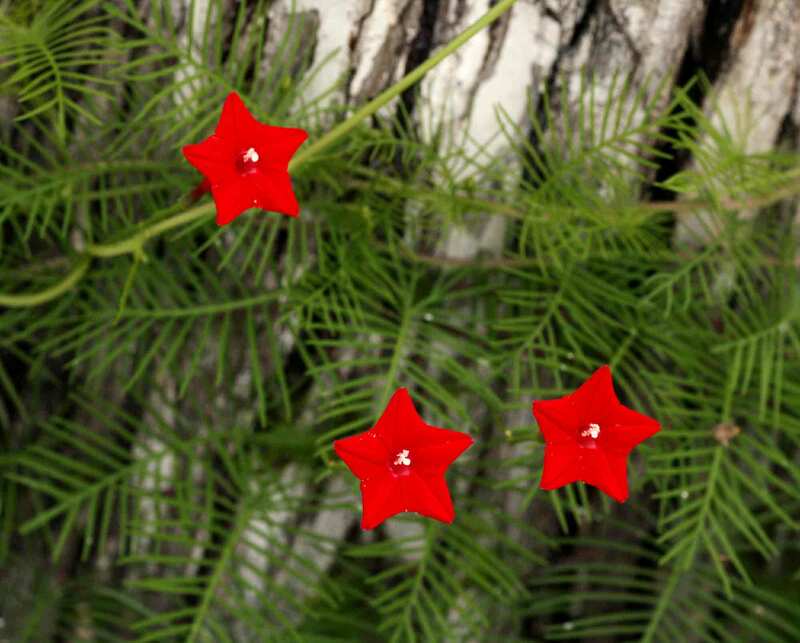 The other name for it is Cypress Vine and is a self seeder plant. Easy to grow and maintain, Zinnias are annuals that are used widely as cut flowers. These flowers are natives of Mexico and Central America. These love the sun and tend to develop powdery mildew if exposed to humid soil and excessive water. Therefore, always expose these flowers to direct sun if you wish to see attractive foliage on them. 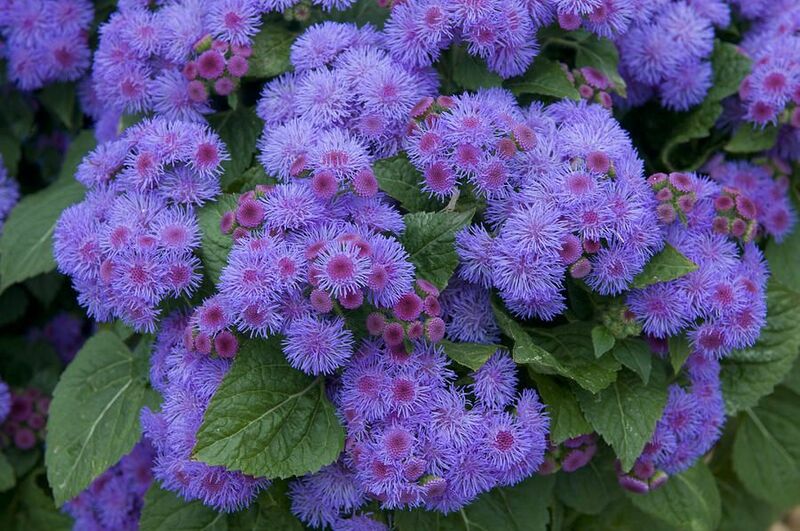 Popularly used on garden borders, the Ageratum or the Floss Flower is a beautiful blue flower that loves the sun. These cannot tolerate wet soil and humidity. 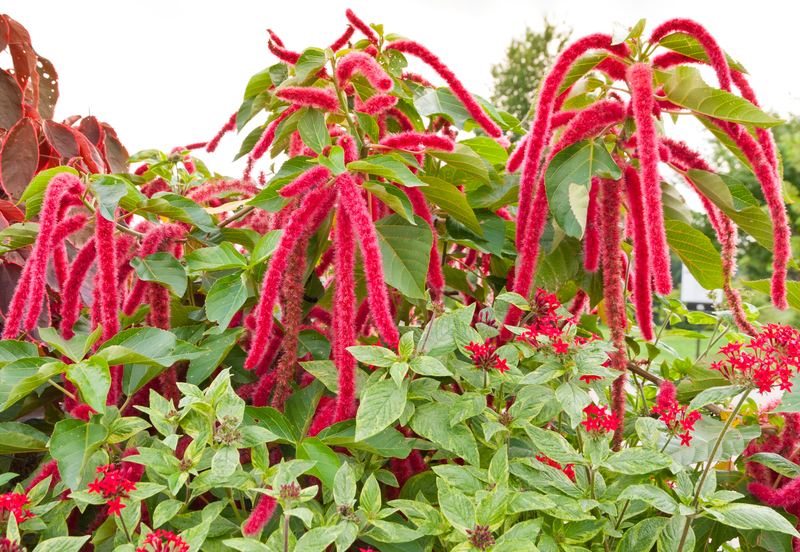 The fluffy look of the flowers makes them ideal for decorating borders and edges in a garden. 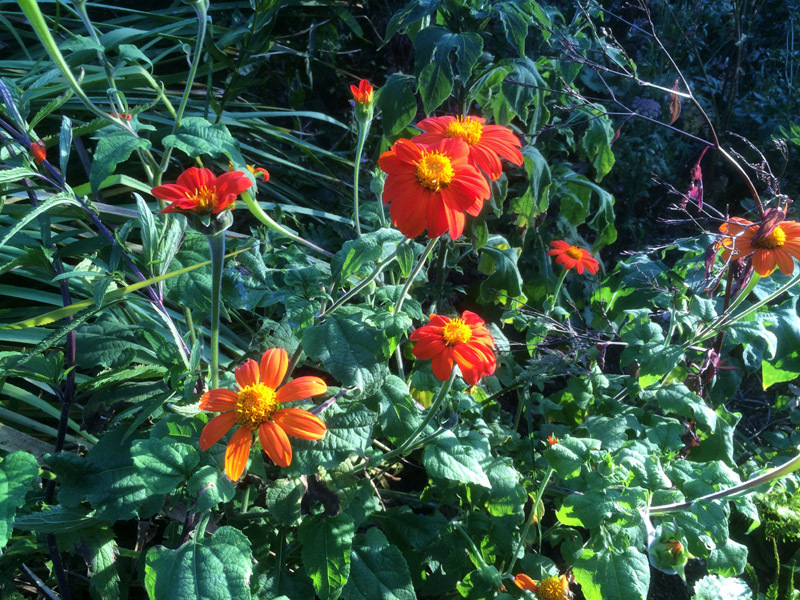 A very quick growing annual, the Tithonia Rotundifolia or the Mexican Sunflower comes in yellow or orange color and is not tolerant to rich soil. The flower resembles Dahlia and is seen in full bloom in summertime. The plant grows up-to 8 feet in height and looks attractive with dark green foliage. There are many flowers that survive in heat, and one among them is the popular California Poppy, known scientifically as Eschscholzia Californica. It comes in beautiful hues of pink, orange, red and cream, and is technically a perennial. But, this plant grows easily as an annual from seeds. The plant grows anywhere from 6 inches to 15 inches in height and cannot tolerate wet soil at all. 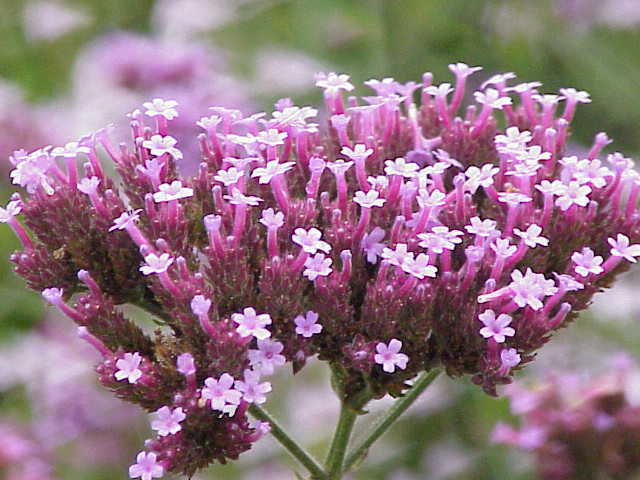 The Verbena makes a great garden plant for it produces lovely looking lilac shaded tiny blooms that appear in clusters. Though, it loves the sun, it has to be offered a moist soil when getting planted. Once established, it needs dry conditions to thrive well. 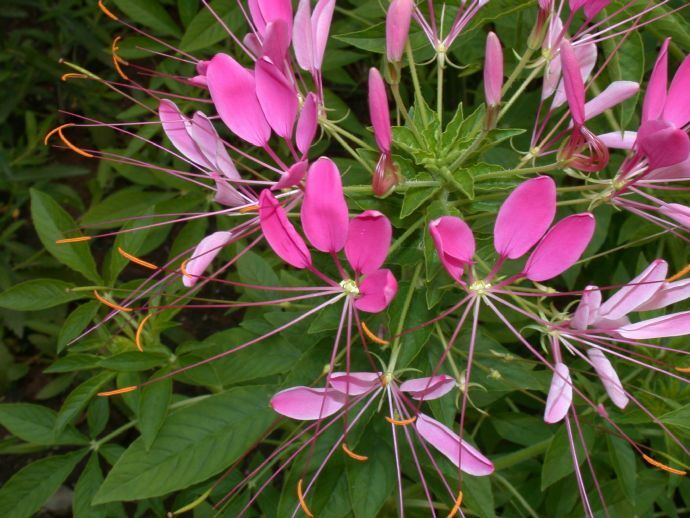 Popularly known as Spider Flower, the Cleome Hassleriana is a quick growing annual that grows up-to 5 feet in height. Bearing flowers in gorgeous shades of pink, white and purple, the plant is very easy to grow from seed. If you have a bare spot in your garden, and you wish to deck it up with charming annual flowers, think of planting Salvia. This plant comes in many different types and produces blossoms that last long and also attract butterflies and other insects that pollinate. These plants grow quickly and can tolerate loads of sunlight and heat. 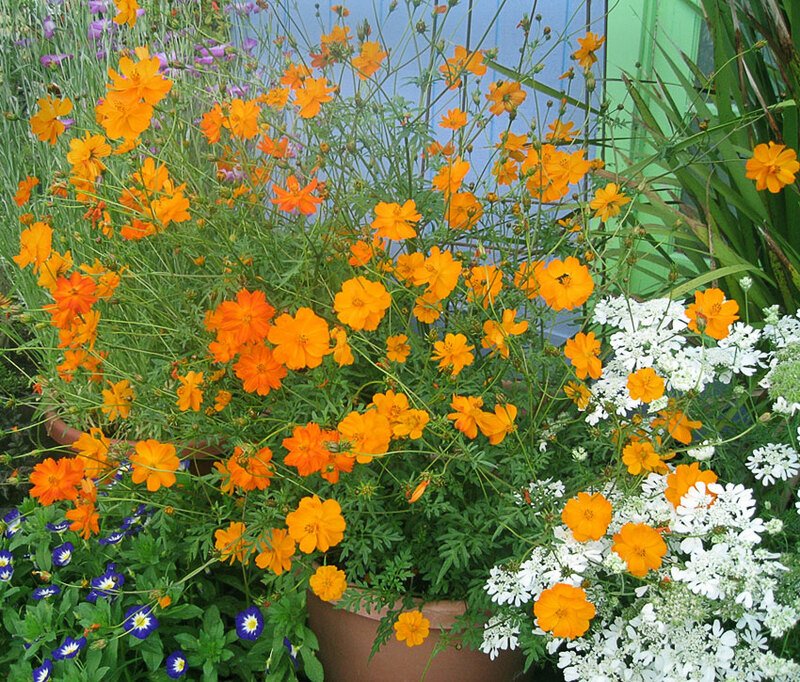 Heat tolerant flowers like Cosmos Sulphureus can easily withstand harsh heat and can easily be grown from seeds. These can grow up-to 4 feet in height and need well drained soil. The plant is a self sowing variety and looks wonderful in yellow and orange tones. 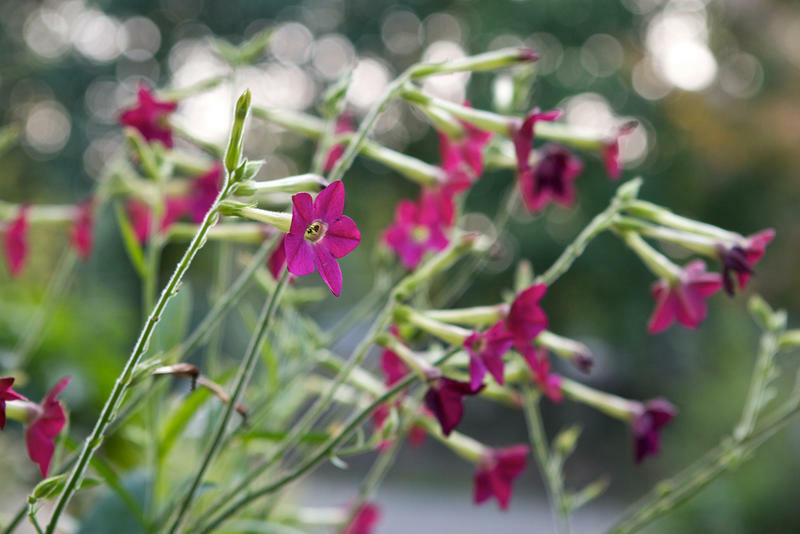 Featuring gorgeous blooms in tones of white, purple, pink, and green, the Nicotiana is an annual that can reach up-to 5 feet in height. It is a sun loving plant, also called as flowering tobacco. Most of the varieties of this plant are self sowing and are easy to grow. Pentas can be counted as one among the best flowers for full sun as it simply thrives well when exposed to sunlight, and attracts birds and bees. It is a tropical flower which can be grown, both as a perennial as well as an annual. A native of Africa, this shrub can tolerate heat quite nicely. 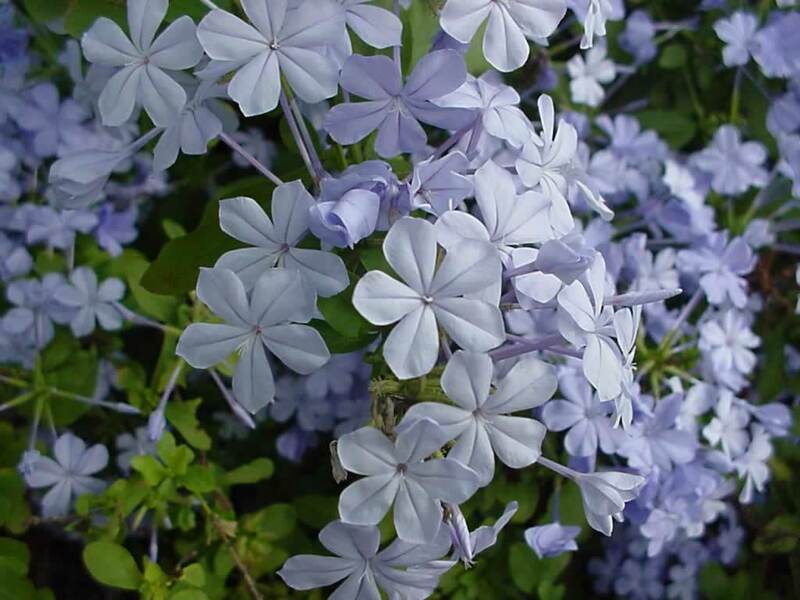 It looks attractive as it resembles vines, and features sky blue flowers. The plant cannot tolerate cold and therefore has to be protected from frost in winter season. 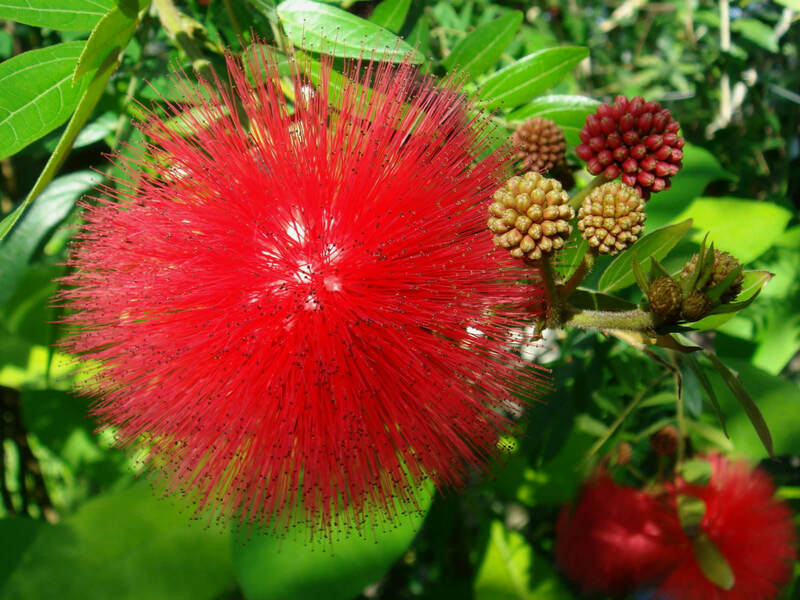 Known as Powder Puff, the Calliandra is a small tree producing flowers that are puffy in texture. This tree can be grown either in a garden, or in a pot. The Calliandra cannot tolerate harsh cold climate and in case you stay in such regions, keep the tree indoors. The flowers attract birds and other insects. Mandevilla is another stunning climber that is often counted in any list showcasing best full sun flowers. It is actually a climber that produces blooms in various hues like pink, red and white. It is generally grown as an annual in colder regions. The Mandevilla is used to lend a tropical feel to a garden. 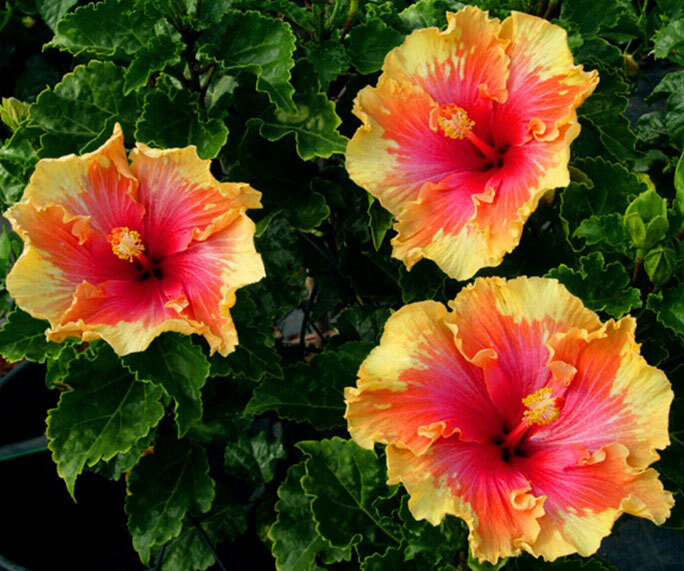 Tropical Hibiscus is generally grown as an annual and it loves to be in the sun. It is a shrub that is easy to maintain and produces colorful flowers. It needs regular watering in hot weather. Known as King’s Mantle or Bush Clock Vine, the African native – Thunbergia Erecta is a shrub and produces attractive blooms when grown in tropical climates. It features blossoms in yellow, violet and purple tones. For all of you that have a few vacant spots in the garden, and such spots that receive plenty of sunlight, choosing sun loving flowering plants is the best option. These flowers can grow nicely under hot sun and also need very little care. The above showcased varieties are all flowers that survive in heat efficiently. However, do research more to know their respective care routine as each flower has its own specific needs.